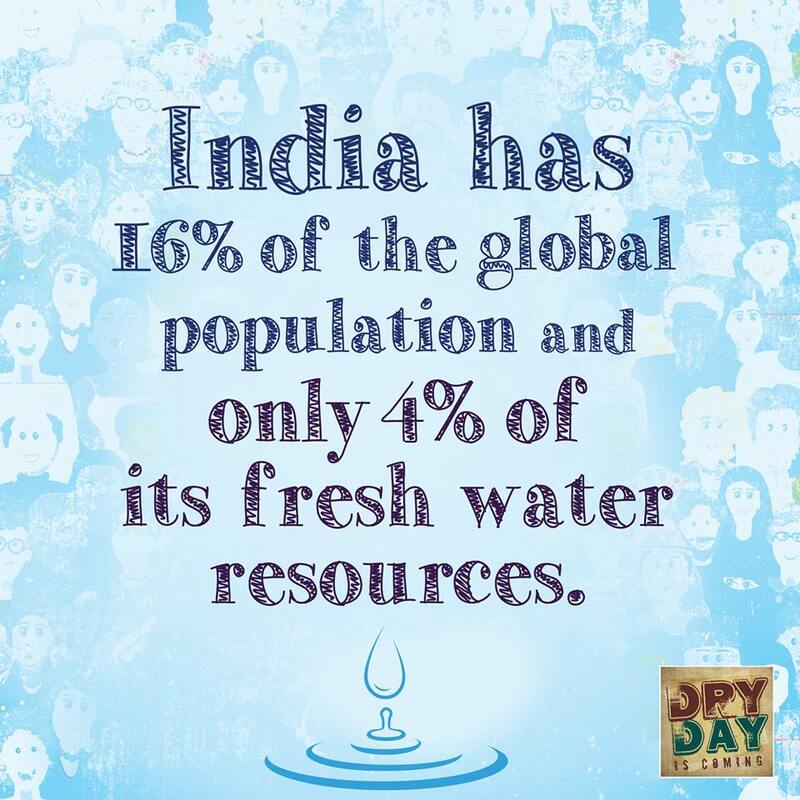 Why Water is very importance for us ? 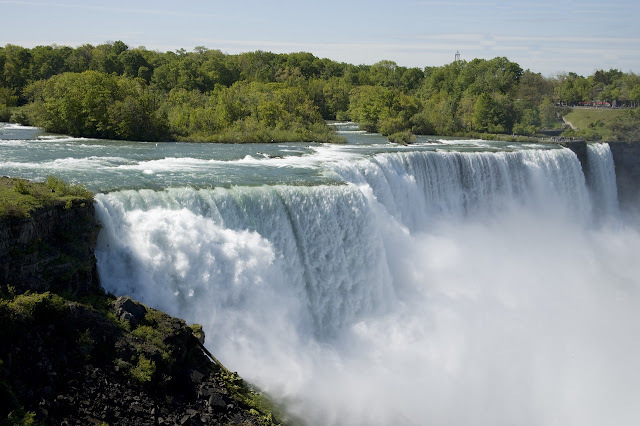 The human body consisting of 75 percent of water, it is evidently clear that water is one of the prime elements responsible for life on earth. Water circulates through the land just as it does through the human body, transporting, dissolving, replenishing nutrients and organic matter, while carrying away waste material. Further in the body, it regulates the activities of fluids, tissues, cells, lymph, blood and glandular secretions. SAVE WATER – Don’t waste the world’s blood. We just can't live without it. However, our water sources are contaminated with both bio and chemical pollutants, and over 21% of diseases in India are water-related. 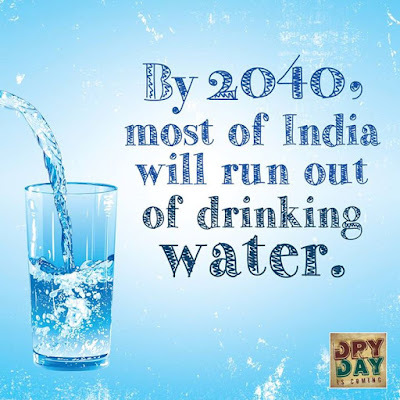 Global water scarcity is expected to become a leading cause of international political conflict in the future, and the prognosis for us here in India is no different. The wars of tomorrow will be fought not over oil or land, but over water. Hard to believe? Ask Tamil Nadu, Karnataka and Kerala who have been fighting it in the courts over ownership of rivers. Ask the people there about the mass peoples movements for the cause of access to water. 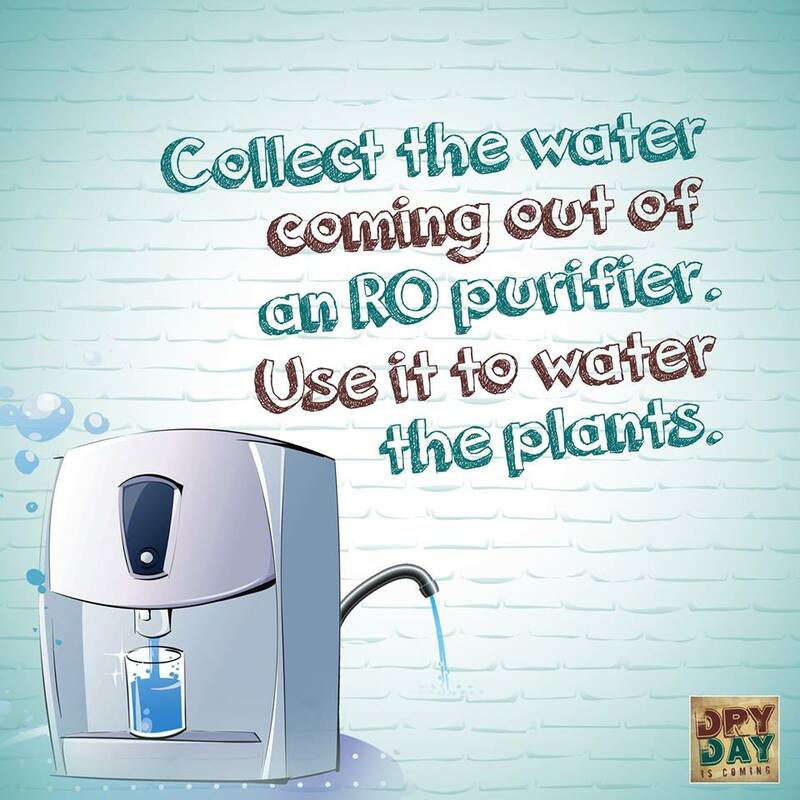 Yes, as we sit in our urban homes, with access to running water from our taps, it is easy to forget that we should treat water with respect, and use it with great care. Here are some tips from water conservationists who've come together to form the Dry Day Is Coming campaign on Internet. We never know the worth of water till the well is dry. 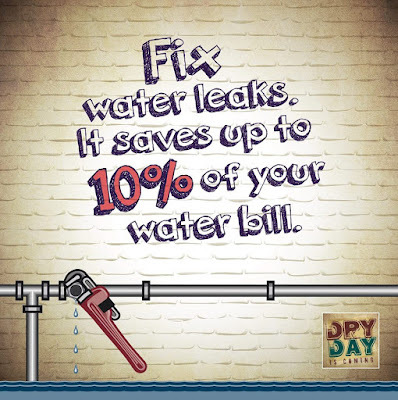 Save water!! 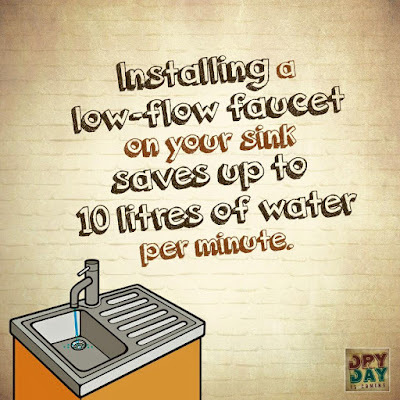 Top Easy Ways To save Water. 1. 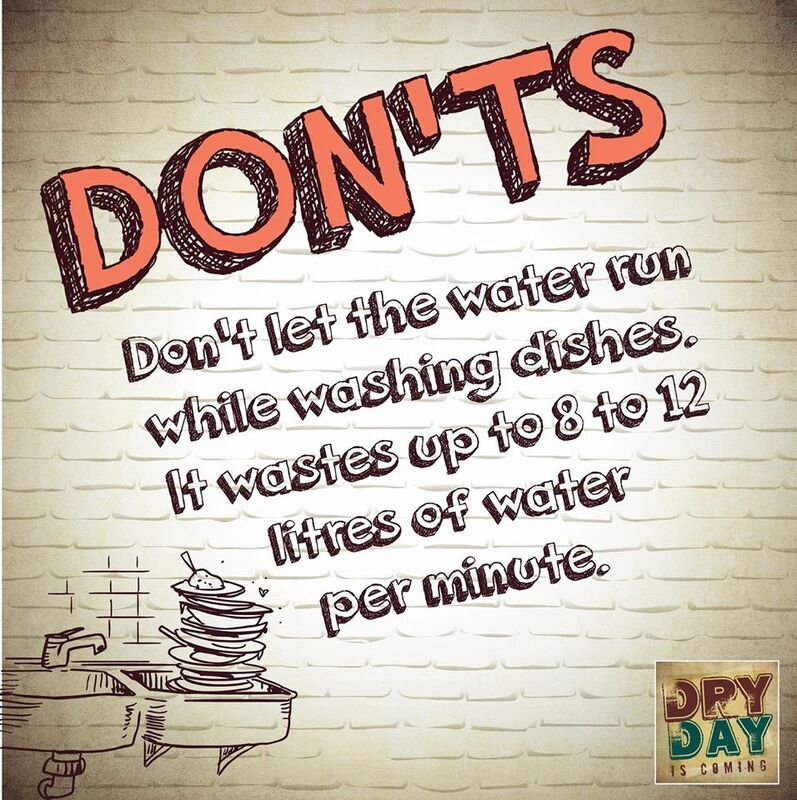 Come To Dry Day Is Coming and help stop Dry Day. 2. 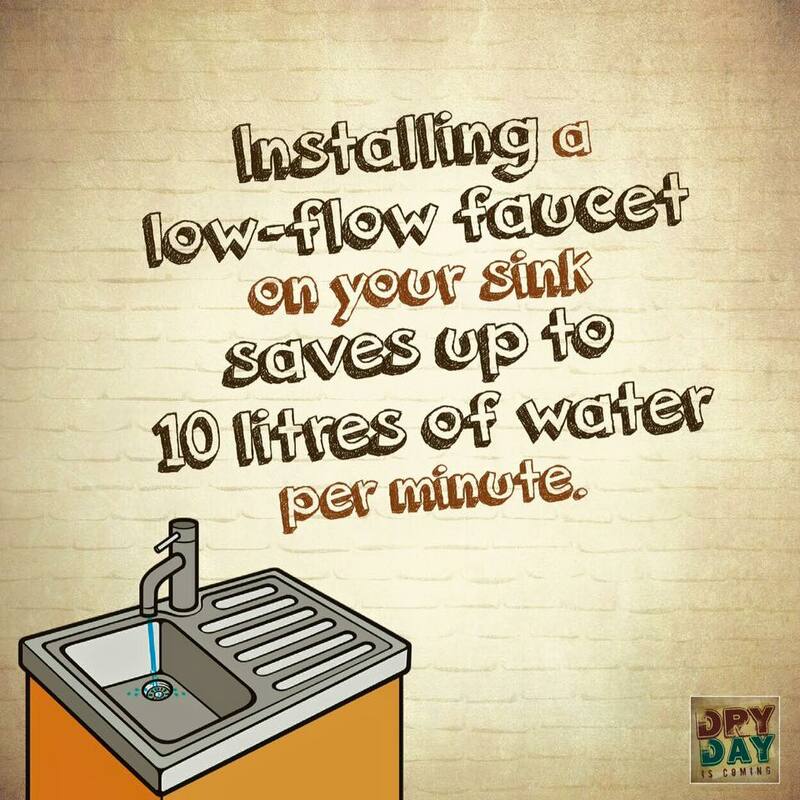 Water Savings Begin at the Kitchen ! 3. 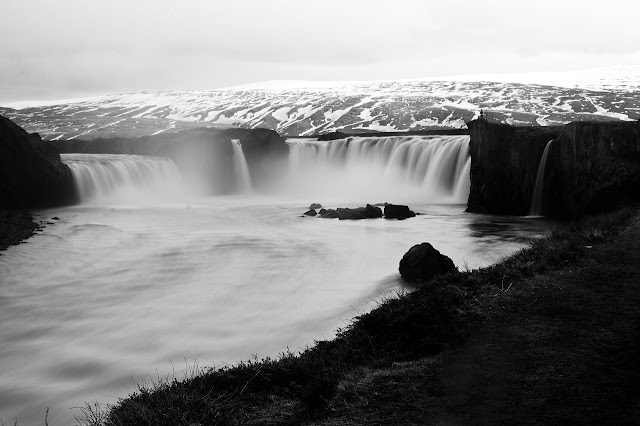 Not as Far as it seems to be ! Save Water Today. Tomorrow might be too late. 4. 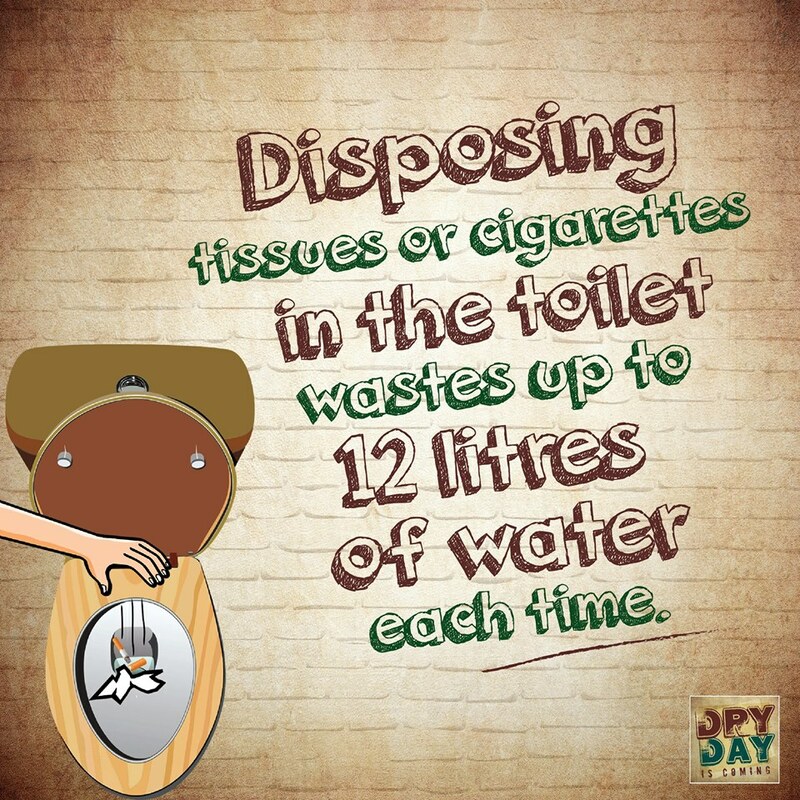 Think of what it costs before disposing off the Waste down the drain. Because some wastes belongs to the dustbin. 5. 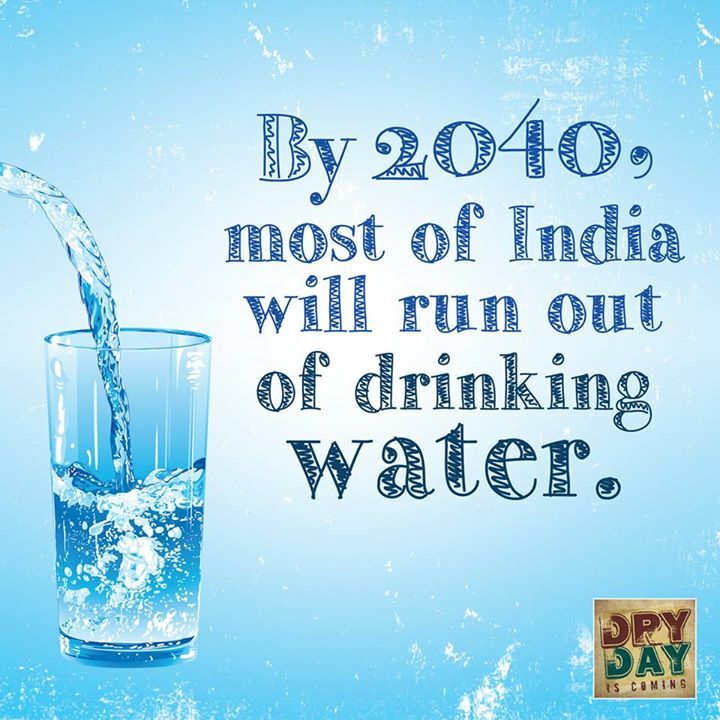 Imagine the Future if we were to continue wasting water. 6. Now we know why to say 'no' to bottled water. It takes more than it provides! 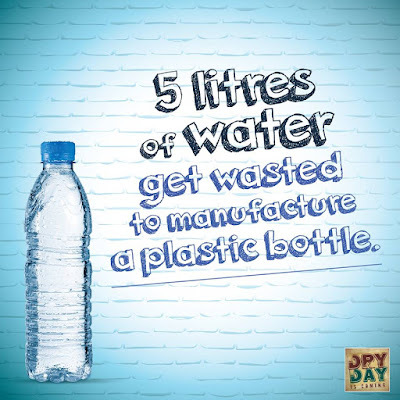 7.Use that slow flowing water for other purposes so it actually never gets wasted. There's a lot you can do with it. 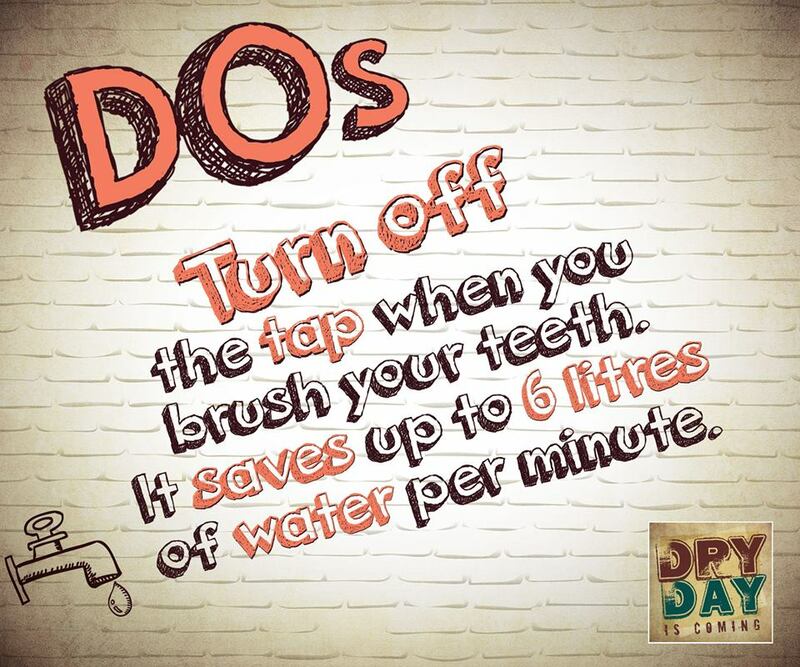 8.Turn Off the tap when you brush your teeth. 9. Don't forget to turn that tap off. 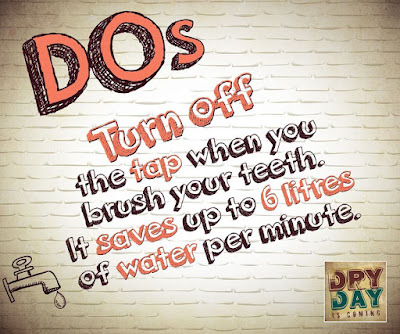 10.Never ignore a dripping tap. See what happens when the water crisis comes to a local Hollywood theater. Walk in the desert, You will realize the cost of Water.